In the 1980's an astoundingly competitive system for production emerged from an unlikely source. Toyota, a Japanese car manufacturer with a previously poor reputation and customer value, began producing exceptionally reliable cars at very competitive prices. Borrowing a management philosophy from American quality guru, W. Edwards Deming, and production techniques from Henry Ford and others, Toyota evolved its own unique system for driving waste out of every process in order to produce products with high customer value. They dubbed it the Toyota Production System (TPS). Over the last several decades, Toyota's incredible success in the marketplace has been all the more striking in contrast to its major competitors whose fortunes have plummeted. In the 1950's, a Ford production employee could produce 8 cars for every one made by Toyota. Today the tables have turned. A small Japanese company facing extinction fifty years ago is now officially the world's largest auto manufacturer. In the 1990's a new term "Lean Manufacturing" was dubbed to replace the negative connotations of TPS (namely that it was a Japanese method and that it was only good for production). 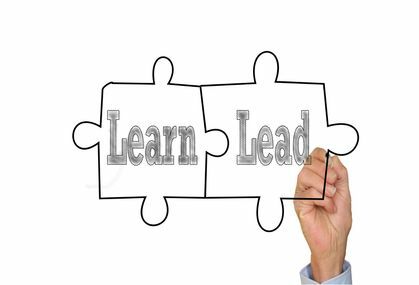 In a nutshell, Lean is a philosophical and methodological approach that strives to provide ever-increasing value to the customer through total employee involvement in the reduction of non-value-added activities and their associated costs. We believe that US manufacturers and service providers can successfully apply the Toyota system and receive its full competitive and financial benefits, if they take time to understand more than just its technical aspects (the "know how" without the "know why"). Copying Toyota's methods without careful consideration to their whole system will produce short-lived, or worse negative, outcomes. We also believe that the hidden power of TPS is based not on tools and techniques but on unlocking human intellect and creativity at every point in the process and on establishing collaborative relationships between management and workers, between departments, and between customers and suppliers. If you think of the different aspects of TPS/Lean Manufacturing as the three legs on a tripod, consider what would happen if you took away any one of them. The tripod collapses. If you are interested in a brief history of time savings (from the early innovators Eli Whitney and Frederick Winslow Taylor to Henry Ford, the Gilbreths and W. Edwards Deming) along with the ultimate learning approach for a whole system, learn-and-do, deployment and implementation, we suggest the e2 Continuous Improvement System - Managing & Sustaining your Lean Transformation through the "Everybody, Everyday" Approach to Lean workbook. Or train your trainers with The e2Continuous Improvement System Kit. 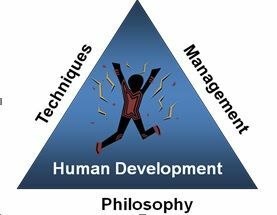 The foundations of Lean Manufacturing provide a shared understanding for management & employees of the philosophical basis that separates successful Lean Manufacturing implementations from failures. If you do not understand the "know why" (philosophy), none of the rest will make any sense. Practicing the philosophy of Lean manufacturing, developing tacit learning, engaging all employees in Kaizen and understanding what is meant by improvement. True North is a term used by Toyota to indicate the right direction of improvement - based upon providing perfect products, just-in-time, according the customers exact demand. It should be visual, self-managing and continuously striving for higher quality, lower cost, shorter lead-times and greater selection for the customer. To undergo a Lean Manufacturing transformation, ultimately every aspect of a business requires reconsideration. The current condition was not built overnight. Management must align policy to support Lean, must lead in a new way, must develop positive relationships with all stakeholders. Kaizen - the means to realign resources - represents small changes for the better in their daily work. 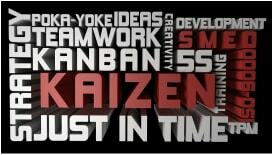 For management, kaizen means to re-think strategy, organization and policy, and to implement incremental changes to the status-quo management system that is contradictory to True North. By applying the technical aspects of Continuous Improvement - proven tools, techniques and countermeasures - people reduce or eliminate one or more of the 7 wastes* while going about their daily work. But a tool is only a tool when used correctly, and used to assist in a situation where it makes sense (you wouldn't use a wrench to hang a picture). If we do not understand the purpose of the tools and the conditions under which a tool makes sense, we are sure to struggle in our journey. When tools are understood to be a means to an end, a series of aids to assist us in establishing a system made up of processes that flow value according to customer need, then the chances of success are much greater. Encouraging managers and employees to learn and, more importantly, practice with them regularly, the technical "leg" of our tripod can significantly accelerate improvement efforts as well as highlight additional improvement opportunities. *The 7 Wastes are the undesirable conditions that arise in any process and which with careful observation and appropriate countermeasures can be greatly reduced to improve quality and productivity. They include Storage (Inventory), Transportation (Conveyance), Overproduction, Processing (Inadequate or Unnecessary Process), Motion, Defects (Correction) & Waiting. ** "Everybody, Everyday" is a Registered Service Mark of GBMP, Inc. You may not use or reproduce it without permission from GBMP.